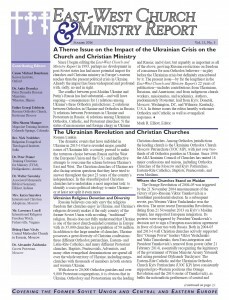 “Dear Colleagues, I want to introduce you to a special issue of the East-West Church and Ministry Report (http://eastwestreport.org ), dedicated to the impact of the Ukraine crisis on churches and ministry in Ukraine and Russia. 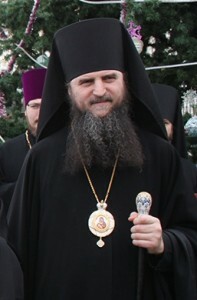 Since 1993 the East-West Church and Ministry Report has regularly published articles by prominent church and mission leaders, missionaries, and faculty of theological schools: Grigori Komendant, Peter Kuzmic, Sergei Sannikov, Parush Parushev, Peter Penner, Alexander Negrov, Insur Shamgunov, Konstantin Prokhorov, Walter Sawatsky, Sergei Rakhuba, Alexei Melnychuk, Michael Cherenkov, Igor Petrov, Mary Raber, Donald Fairbairn, Johannes Reimer, Roman Lunkin, Lyudmila Filipovic, Oleg Turlac, Anatoly Kolodny, Yakov Krotov, etc. 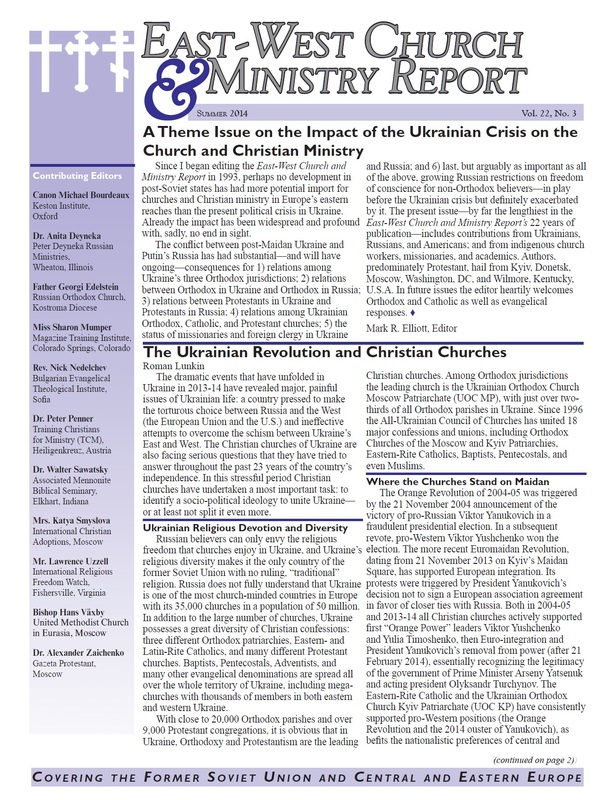 In his introduction to the Ukraine theme issue of the East-West Church and Ministry Report Editor Mark R. Elliott notes that the political and military crisis in Ukraine is having and will have profound and lasting effects upon: 1) relationships among the three Orthodox churches in Ukraine; 2) the relationship between Orthodox churches in Russia and Ukraine; 3) the relationship between Protestants in Ukraine and Russia; 4) the relationship among Orthodox, Catholic, and Protestant churches in Ukraine; 5) the status of foreign missionaries and clergy in Ukraine and Russia; and last but perhaps no less important, 6) the increasing infringement upon freedom of religion for non-Orthodox churches in Russia, which began even before the Ukraine crisis, but which has increased markedly as a result of it. Because of the serious ramifications of the Ukraine crisis for believers in Ukraine and Russia, the present Ukraine theme issue of the East-West Church and Ministry Report may be the most significant undertaking of the EWC&M Report in the 22 years of its existence. The issue includes articles by Ukrainian, Russian, and American missionaries, academics, and attorneys from Kyiv, Donetsk, Moscow, Washington, DC, and Wilmore, Kentucky (USA). As we prepare for the second Lausanne-Orthodox Initiative consultation (in Albania from 15-19 September 2014) we are posting today the third of our three background articles on conversion. 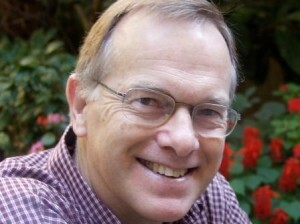 This third article, originally published in the IBMR in 2004, is by Dr. Chris Wright and draws on his rich biblical research. To download the article click on the link below. Very shortly we will be publishing pages on this website specifically dedicated to the forthcoming consultation. These will be particularly important for the 60 Orthodox and Evangelical leaders who are participating but we hope that others will also be interested and praying for the work of the LOI. To ensure you receive notification of all our postings please register by entering your email address on our home page.